Established 20 years ago, Little Woods Montessori is a boutique preschool that adheres to a unique Montessori philosophy. 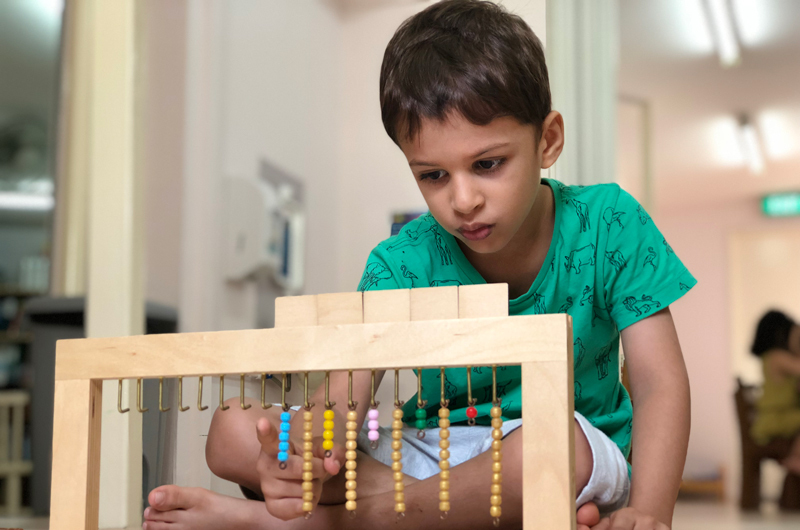 Striving to inculcate a lifelong passion for learning, Little Woods Montessori offers children aged 18 months to six years the diverse Montessori curriculum, specially designed and implemented by founder, Mrs. Isabel Angela Seery. Their team of dedicated and highly experienced educators take pride in providing the highest quality preschool experience. The school is now led by Mrs. Hafsa Fathah, who is also certified by the prestigious Association Montessori Internationale (AMI). The Montessori method is a popular educational approach for preschoolers. 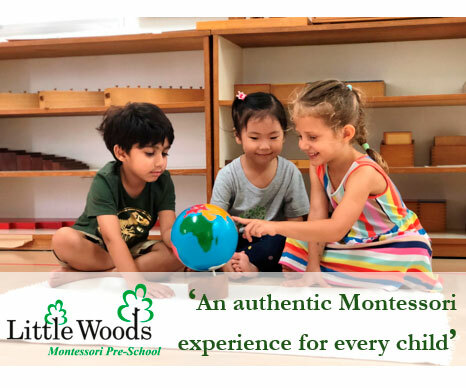 Little Woods Montessori’s framework encompasses five core components: Practical Life, Sensorial, Language, Mathematics, Music and Art, and Discovery of the World. These work towards developing children – cognitively, physically, socially and emotionally – into independent thinkers and self-directed leaders. Learning is carried out through a combination of skill-based activities and collaborative play. Examples include Practical Life Exercises, where the child undertakes routine tasks like pouring or transferring, to improve dexterity and motor skills. Other non-academic activities are also incorporated into the daily curriculum. 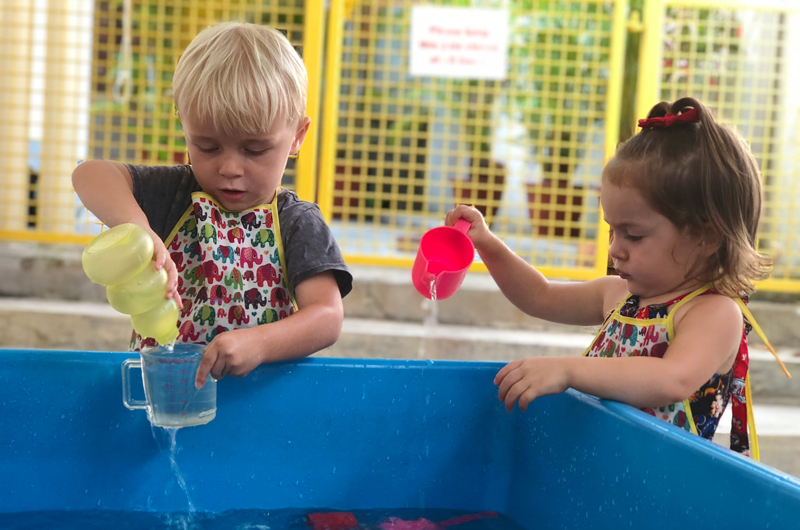 Think music, speech and drama to develop pitch sensitivity and rhythm, physical education exercises (held at Little Woods Montessori’s spacious outdoor playground) to boost loco-motor and spatial awareness development, experiential science experiments and more! Little Woods Montessori also emphasises on Cultural Studies where children are introduced to the physical world around them. Topics include geography, zoology, botany, history, physics, earth science and social studies. The programme encompasses themes like the Prehistoric Timeline and Homes Around the World to enrich each child’s learning experience and general knowledge. Not only does the Little Woods Montessori curriculum accommodate different learning styles, the young ones are able to learn at their own pace – under the teacher’s guidance, and in a carefully designed environment. This is further supported by low teacher to child ratios – at 1:6 in pre-nursery classes, to 1:12 at the kindergarten level – ensuring that every child receives ample attention from the Montessori-trained educators. So how does the Montessori philosophy, which doesn’t have grades or testing, fit in with Singapore’s structured educational system? With their belief that all children should be equipped with the necessary skills and knowledge in preparation for the next stage of education. This learning will be consolidated with a strong foundation in the English Language and Literacy, Mathematics and Mandarin for a seamless transition to primary/grade 1. At Little Woods Montessori, your child is groomed to enjoy continued learning, to primary/grade school and beyond. Fees: From $2,850 to $4,500 per term depending on the session chosen. Fees are before GST. Tips to Excel in PSLE English!